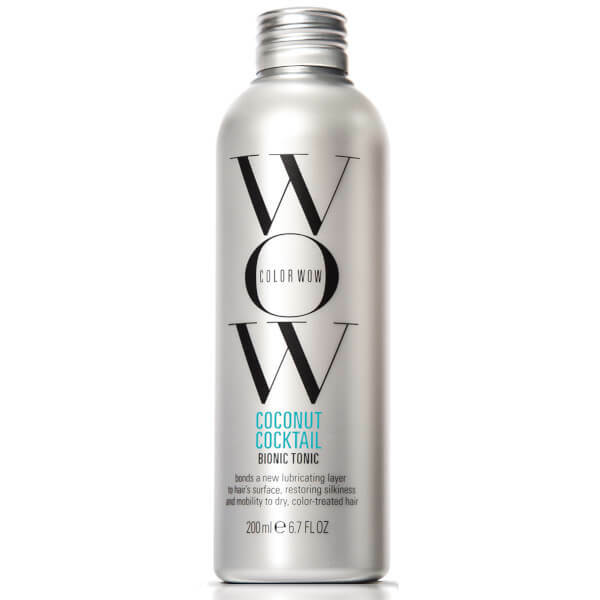 Restore colour-treated hair with Color WOW's Coconut Cocktail Bionic Tonic, a leave-in treatment that bonds with hair to keep locks moisturised and protected. Helping to replenish silkiness and manageability, the tonic delivers a blend of fatty acids and emollients that bind with your hair; it creates a 'lubricating film' that mimics the moisturising, natural outer layer of hair that is often stripped away during colour processing. Infused with Coconut Oil, the formula penetrates deep down to hydrate within the cortex for improved strength and flexibility. Dry, unresponsive hair is transformed into silky, soft, hydrated locks. 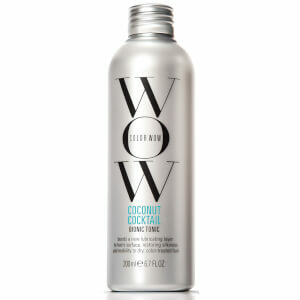 Suitable for dry, colour-treated hair. Water (Aqua), Behentrimonium methosulfate, Cetyl alcohol, Cocos Nucifera (Coconut) Oil, Polyquaternium-37, Dipropylene Glycol, Phenoxyethanol, Propylene Glycol Dicaprylate/ Dicaprate, C10-40 Isoalkylamidopropylethyldimonium Ethosulfate, Silicone Quaternium-18, Caprylyl Glycol, Ceteareth-20, PPG-26-Buteth-26, Trideceth-12, PEG-40 Hydrogenated Castor Oil, PPG-1 Trideceth-6, Hydrolyzed Keratin, Fragrance (Parfum), Laurdimonium Hydroxypropyl Hydrolyzed Keratin, Butylene glycol, Quaternium 33, Potassium Sorbate, Benzyl Alcohol, Coumarin.